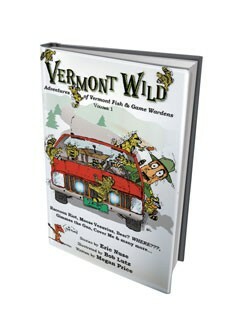 Vermonters love a good critter story, it seems. According to Flying Pig Bookstore co-owner (and local comedy diva) Josie Leavitt, two of her best-selling titles over the holidays were self-published local books. And both were about animal encounters in the wild and woolly outdoors. The two books’ sales figures were “a HUGE surprise to me when I ran the numbers at the end of the year,” writes Leavitt. She attributes their short shelf life to professional editing and production and the authors’ business acumen. No doubt — but let’s not underestimate the appeal of our furry friends (and foes). Who isn’t entertained by an account of a hapless state employee combing a cornfield for a 9-foot black bear? Barre is getting a new bookstore — in the former art-gallery space at nonprofit L.A.C.E. The community gathering place for local-food producers will now offer one for Readers & Writers, too, says LACE founding board member Crystal Zevon. Besides selling rare books and used stock from the Country Bookshop in Plainfield, Readers & Writers will give local literati a place to hold readings, slams, book groups and film screenings — or just hang out on a comfortable chair with Wi-Fi and some local snacks. Check it out at a grand opening on March 31, featuring music from Kristina Stykos and Doug Perkins, food prepared at LACE, and readings by local authors. Not many writers have declaimed their entire books in public — on the U.S. Senate floor. If you missed Sen. Bernie Sanders’ nearly nine-hour monologue eviscerating President Obama’s agreement with Republicans to extend the Bush tax cuts — or simply want to savor his arguments — you can read The Speech: A Historic Filibuster on Corporate Greed and the Decline of Our Middle Class (Nation Books, 288 pages; $13). It’s a paperback transcription of last December’s oratory with a new introduction by Sanders, who’s donating his share of the profits to Vermont nonprofits. The senator appears at Barnes & Noble this Sunday. Thursday, March 31, open house, 3-5:30 p.m., followed by reading, 5:30-7:30 p.m.,at LACE, 159 North Main Street, Barre. Info, 476-4276. Sunday, March 27, 1 p.m., at Barnes & Noble, South Burlington. Info, 864-8001.